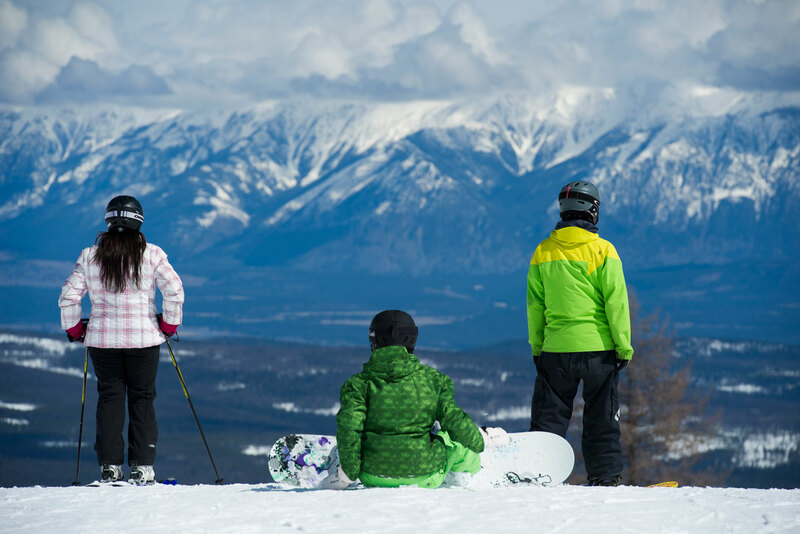 Kimberley Alpine Resort and its namesake town share more than the snowy eastern slopes of 1853-metre Northstar Mountain. The ski area and settlement both get plenty of vitamin D, as the former receives more sunshine than any other resort in British Columbia. Both spots also share a backstory: the Sullivan Mine, once the world’s largest lead-zinc operation, was based in the town, and much of the ore came from the very slopes the resort now calls home. The town embraced an enduring Bavarian theme in the 1970s, and soon became known as the Bavarian City of the Rockies. 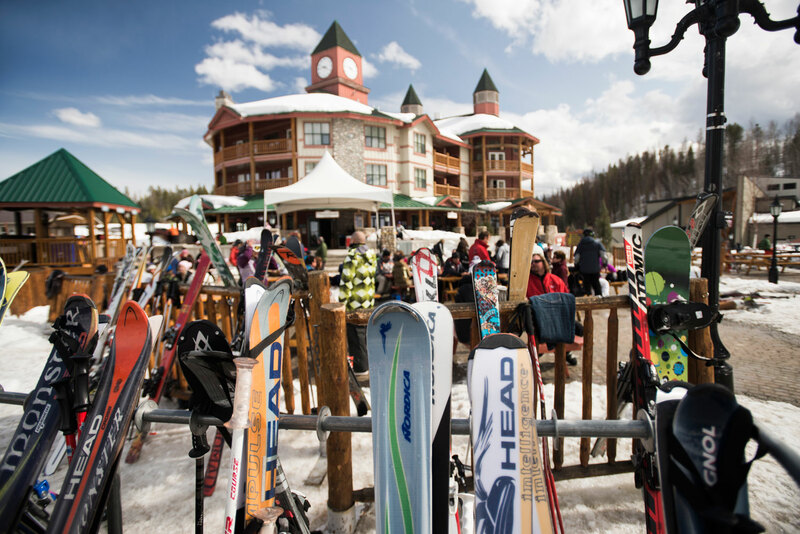 The resort, in turn, is home to the Black Forest, North America’s largest gladed ski area. With so much in common, it’s no wonder visitors fit right into both so easily. Shuttling between the slopes and the town’s dining, shopping and outdoorsy diversions is similarly speedy, with less than three kilometres of paved road separating the resort’s main lodge from the town’s charming pedestrian Platzl. After all, looking and feeling like a local means never having to ask for directions. 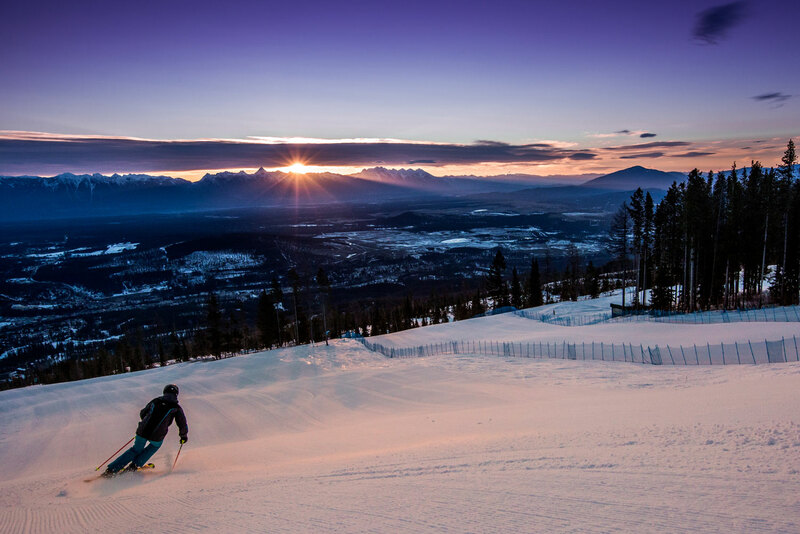 At more than two-and-a-half kilometres, the Main is both a gorgeous intermediate descent and North America’s longest night-skiing run. Try to hit it right after its afternoon grooming, when the perfectly smooth surface makes for effortless turns. Look up, and you’re likely to see the late-afternoon sun illuminating the Rocky Mountains on the far side of the Kootenay River valley. The Kootenay Fondue Experience is a must. 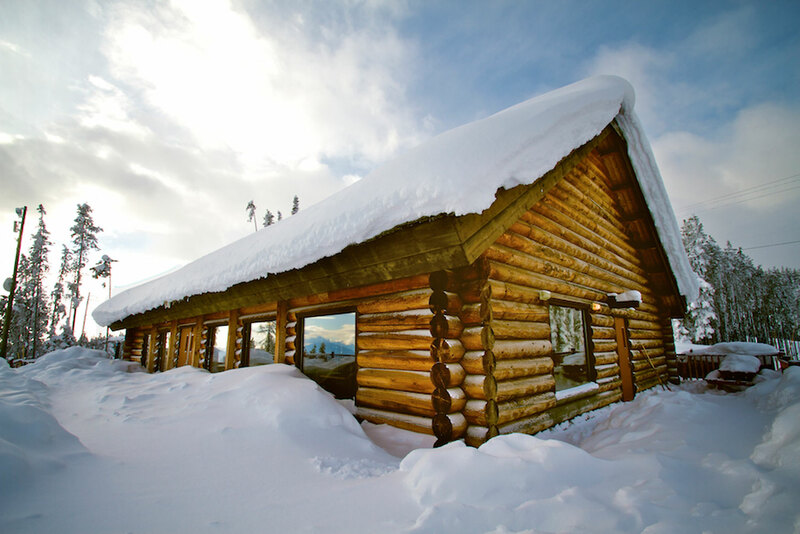 Take a moonlit night, add a chairlift ride to the summit of Northstar Mountain, mix in a headlamp-lit snowshoe tour through the forest, and top it off with chocolate fondue in the rustic Kootenay Haus cabin. Set your watch to Happy Hans. Lined with German-themed eateries, taverns, boutiques and more, the Platzl is also home to the self-proclaimed “largest freestanding cuckoo clock in Canada”. Every hour on the hour, a moustachioed wooden figure known as Happy Hans emerges from a miniature doorway atop the three-storey timepiece, hoists a beer stein several dozen times (your arm will ache just watching him) and yodels for a full minute (give or take). 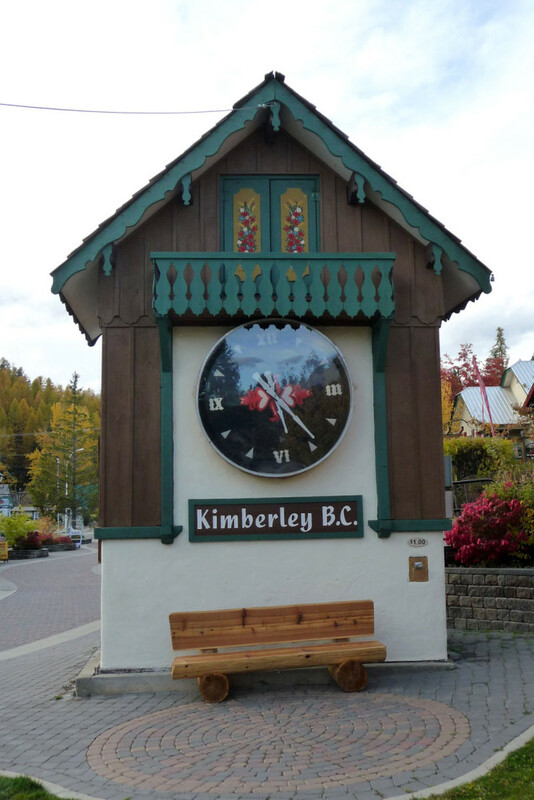 It’s kitschy, it’s cute, it’s Kimberley. Complimentary Mountain Tours, offered by yellow-jacketed volunteers, help familiarise guests with Kimberley’s four alpine sections: Tamarack Ridge and Vimy Ridge, both steep and meticulously gladed; the sprawling and snow-choked Black Forest; and Northstar Mountain, the groomed gateway to it all. Your tour guide is also likely to point out remnants of the resort’s mining past, such as the still-visible Kellogg Shaft between the Main and Buckhorn runs, and the tramway towers near the old base area and Owl T-bar. Night skiing of a different kind is available at the neighbouring Kimberley Nordic Centre, where a quarter of the resort’s 40 kilometres of trails is illuminated for serene evening schussing. If you or the brood still has energy to burn after a day on the slopes, try your hand (and feet, arms and legs) at indoor rock climbing at the Spirit Rock gym on the Platzl. All ages and skill levels are welcome. If, on the other hand, you’d rather trade exertion for relaxation, the hot-stone massages and blissful facial treatments at the Northstar Alpine Spa will do the trick. Après doesn’t get more amiable than at the Stemwinder Bar and Grill. Steps from the bottom of the Northstar Express chairlift, local microbrews and wines share menu space with winter warmers such as ‘Hot Apple Pie’ (dark rum and apple cider), while guests tap their feet to live entertainment or square off at darts or foosball. Down on the Platzl, the Mozart Brewing Company crafts and pours its own stouts and ales, and the Pedal & Tap serves gastro-pub fare and libations. 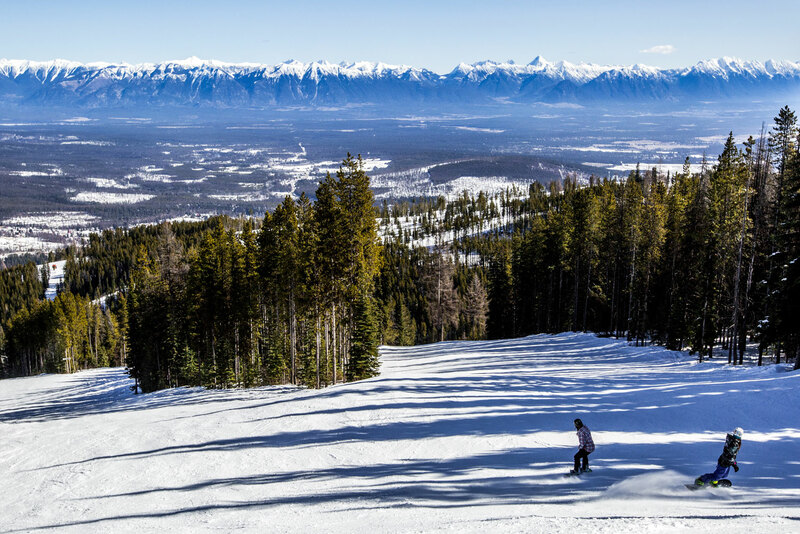 The northernmost of Kimberley’s four sections offers more than two square kilometres of tree skiing. Not only does this yield variety – think powder stashes on Geneva and thrilling steeps on Dorval – but it also gives glade newbies a chance to test the waters before diving in. … the Kimberley Rail Park. 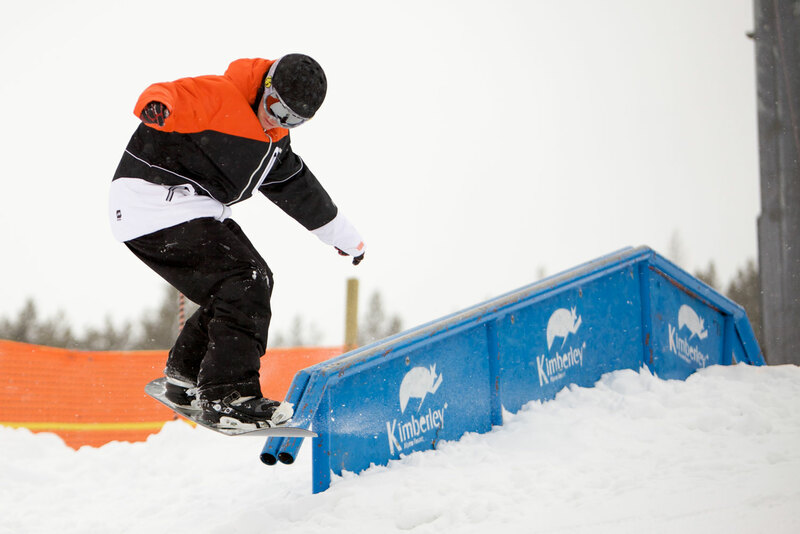 This trickster playground splits the snowy action into three lines: one for beginners sliding their first box, one for intermediates mastering long rails, and one for experts working on perfecting their 270s. A short walk from the chairlift, this B&B-style option features a sauna and 15-person hot tub. 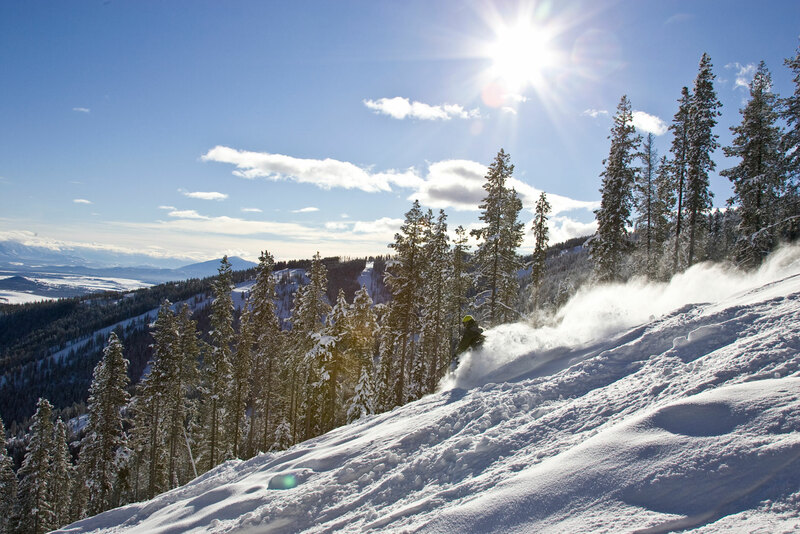 Fourteen ski-in/ski-out suites are equipped with kitchens, fireplaces and whirlpool jacuzzi bathtubs. Fully equipped ski-in/ski-out condo suites with private balconies feature up to three bedrooms and have access to a heated outdoor pool and hot tub. This all-suite slopeside hotel features an outdoor heated pool, two outdoor hot tubs, a fitness room and a restaurant and lounge. All suites include full kitchens, gas fireplaces and balconies.